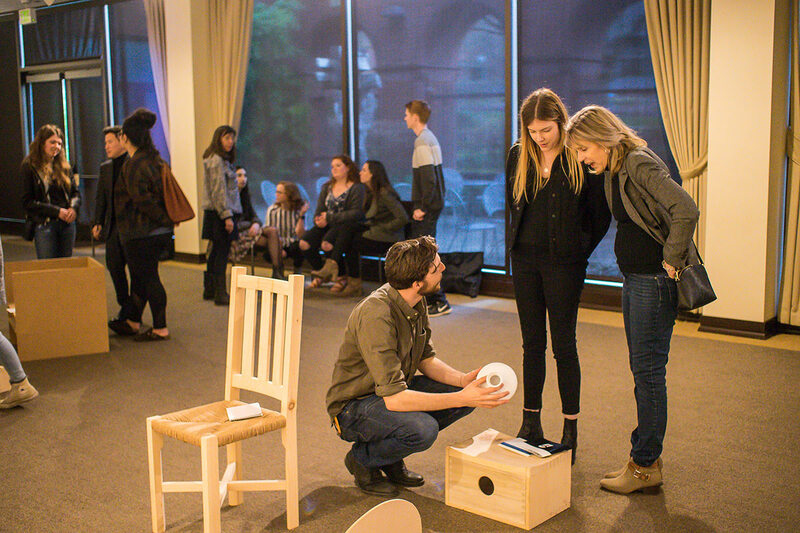 On a recent March evening, the Jordan Schnitzer Museum of Art (JSMA) Papé Room buzzed with burgeoning designers and furniture enthusiasts. 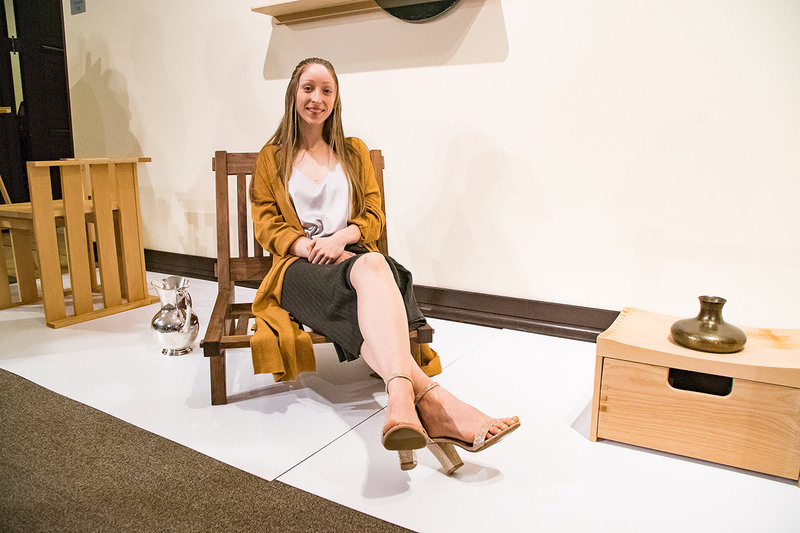 Under the spotlights, original student designs for the Interior Architecture 486/586 Furniture Design studio review lined a wall, each piece of furniture paired with a shimmering object. 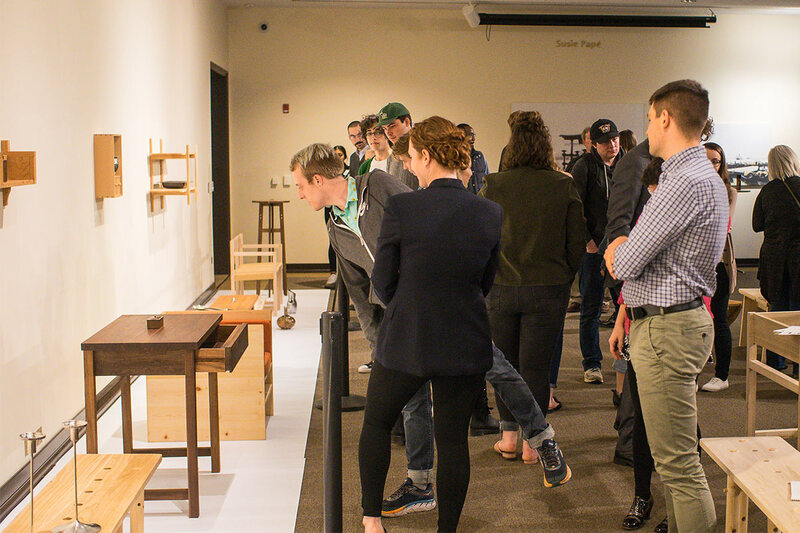 For the winter 2019 course, Instructor Tom Bonamici tasked the students with choosing an item from the Margo Grant Walsh Collection of tableware and then designing and constructing a complementary piece of furniture. 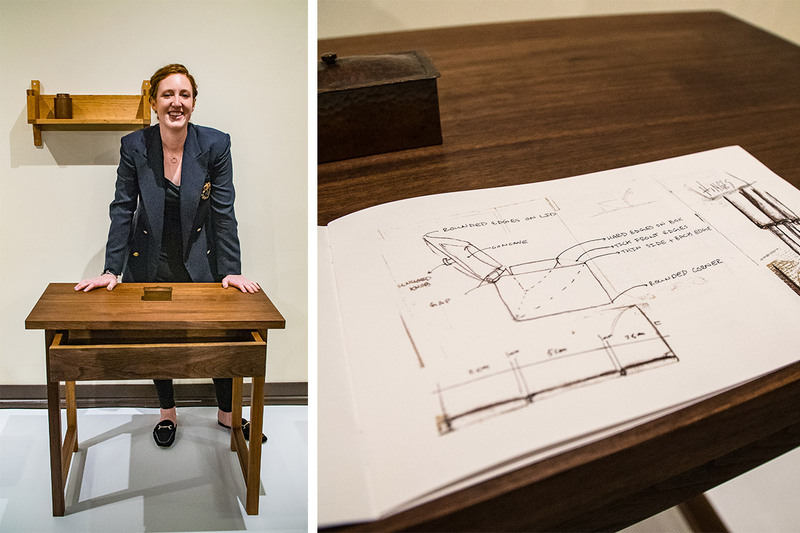 Walsh is an alumna of the Interior Architecture program. 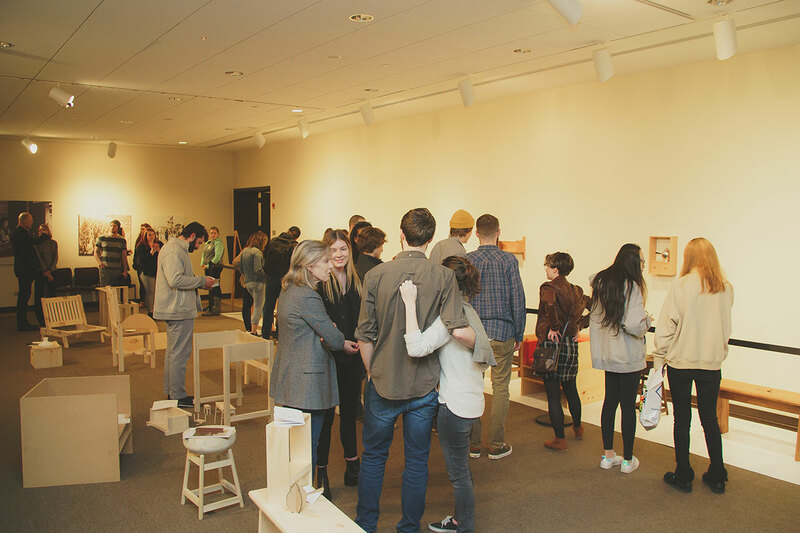 Scroll down to learn more about the students’ experience. 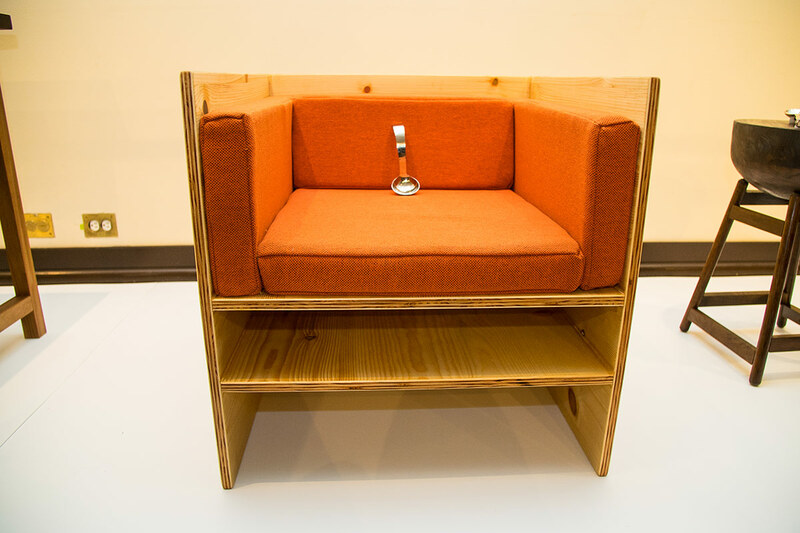 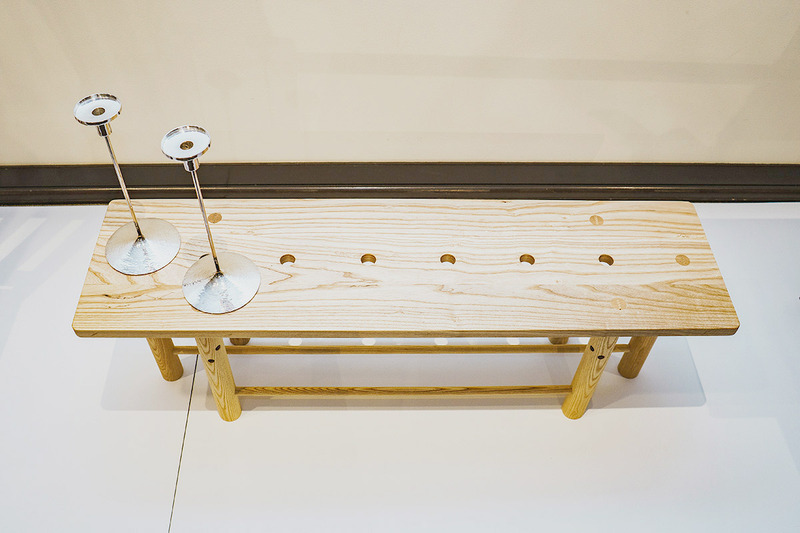 Undergraduate interior architecture student Phoenix Hirsh designed the cube chair using as inspiration a sterling silver ladle made in 1915 by the Keswick School of Industrial Handicraft. 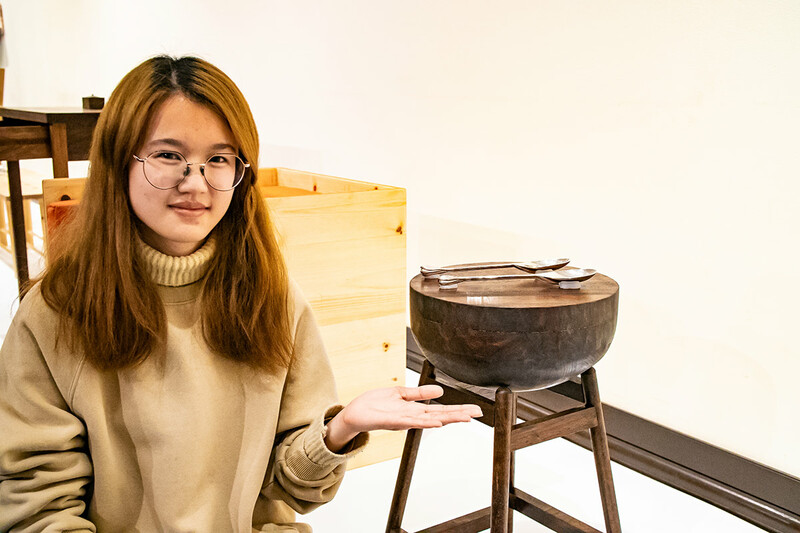 The exercise is important for design students to begin learning how to design with an object or objects they are beholden to, rather than having free reign. 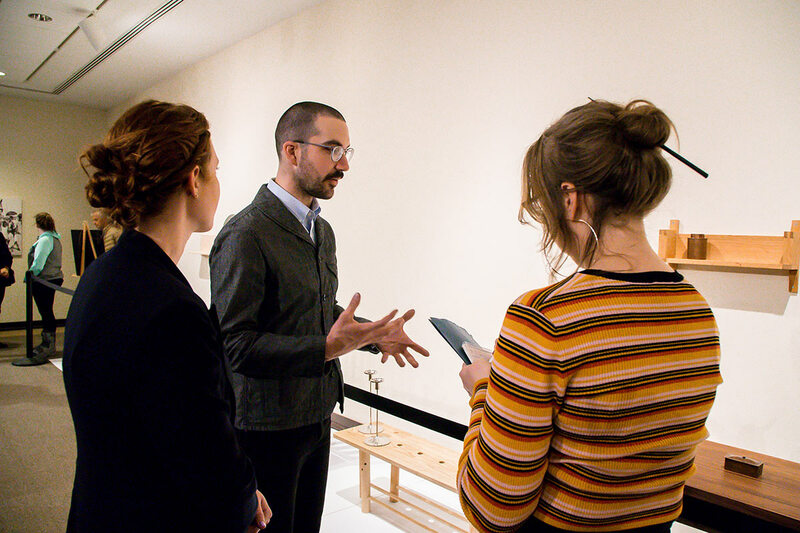 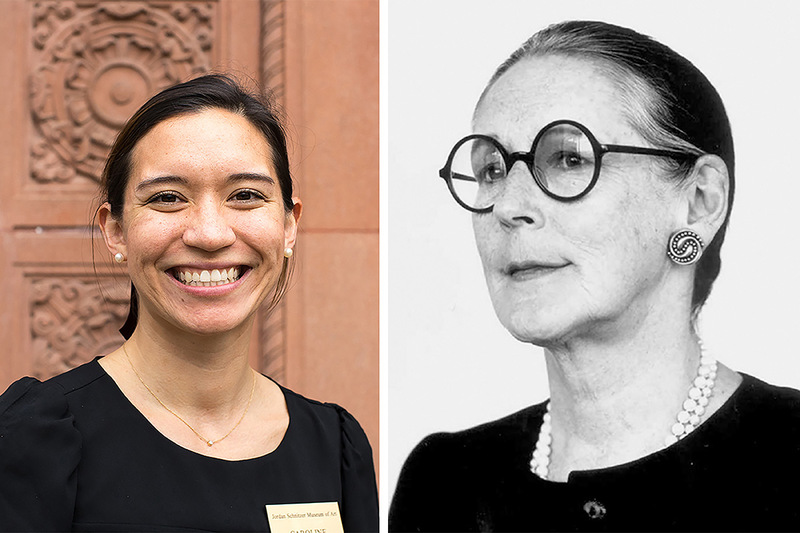 "I hope they learned the value of having a design constraint, a little about Margo Grant Walsh and her collection, and, most importantly, I hope they were empowered to do design work with their hands and develop a feel for physical materials,” Bonamici (pictured middle) said.